Vacations & Travel is Australia’s longest-running travel magazine, inspiring Australians since 1983. 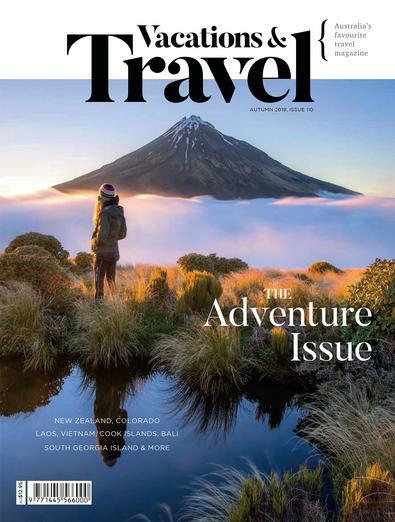 The magazine has recently relaunched with a fresh, contemporary design and new editorial sections that enhance what the title has always been known for – first-person travel stories and stunning imagery to inspire the thinking traveller. The magazine contains travel tips and articles on a wide range of destinations, as well as the latest in spa & wellness; hotels & resorts, design, culinary, cruise and eco tourism. Within its wanderlust pages, readers will find essential holiday ideas and information, curated by our editorial team and a pool of respected travel writers who traverse the globe to uncover some of the world's most interesting emerging destinations.